These chairs are ideal around a board table or in a meeting room, providing you with stylish chairs which say professional the moment you walk into the room. The chrome cantilever frame and black leather faced seat give the chair a sleek look that means business. There are padded arms for enhanced comfort and smoothly shaped seat which gives the user lateral and lumbar support, keeping them comfortable throughout a long meeting. The anti-tilt feet give extra stability to the user, so they shouldn't be able to fall off the chair in the middle of a meeting. 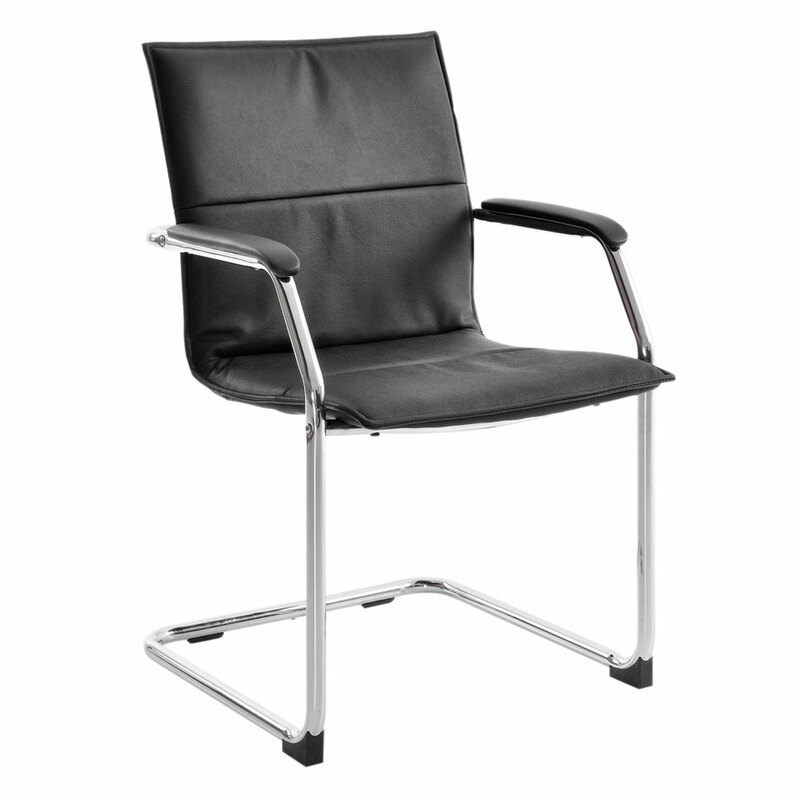 These sleek, stylish and comfortable chairs are the ideal choice for any professional board table or meeting room.